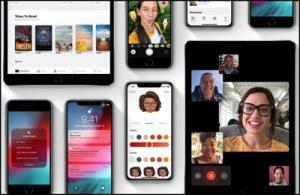 Apple released the first minor update to iOS 12 today, fixing two bugs. The new version is available as part of the software updates on iPhones and iPads with iOS 12. You can wait for the notification, or go to Settings, General, Software Update. The bug fixes include an issue where some iPhones weren’t charging when connected with a cable. It also fixes an issue with where a slower Wi-Fi connection was selected when a faster one was available. The keyboard on the iPad will also now see consistent placement of the number key in the lower left corner. Bluetooth and video subtitle bugs are also addressed. On my iPhone 6s, iOS 12.0 destroyed my battery life. I used to recharge once a day (I’m a low bandwidth guy) but now it needs recharging in a matter of hours. Even if I leave it off (with all apps swipe-up off) overnight, 100% is 75% in the morning. I was about to downgrade back to iOS 11 but hope 12.0.1 fixes this. Bruce: Did you go to Settings, Battery to see what was using the power?